This one has been a thorn in my side for weeks, i have tried many different guides to join our openfiler to the domain, each time it would never give me the groups in the listing, then i thought lets just go back to linux basics. I had already made the change in the security to allow enable NTLMv2 response, this got me a little further as it would add the openfiler computer into the domain computers group but using the GUI never worked for me along side it taking an age to reload the page after it had done. Firstly i logged in to the GUI and then went to System and Secure console, logged in as my root account type cd / and enter, then i just thought ill just run the string to join it to the domain in here, so i did the following (net rpc join -U Administrator@domain)pressed enter and was asked for the password for Administrator @domain i put in the password and pressed enter and it said successfully joined give it a reboot and viola, checked the group and there were 9 whole pages of groups and all of the users in my domain. 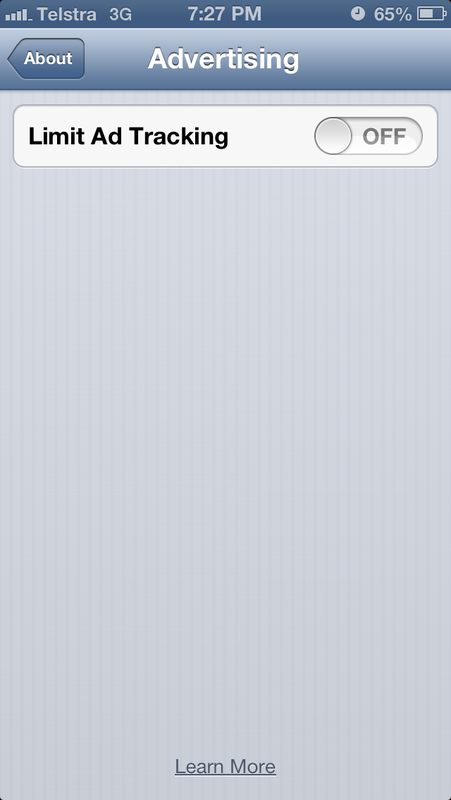 I can now administer my shares using my domain groups. It looked for a short while that the Lightening to Micro USB connector was going to only be available in Europe, but Apple has decided to sell it in the USA too, the tine adapter finally made its way to the US Apple store website for only $19 US (over in Europe, it's £15 / €19) i am not sure of the release date for Australia but it wont be too far away. 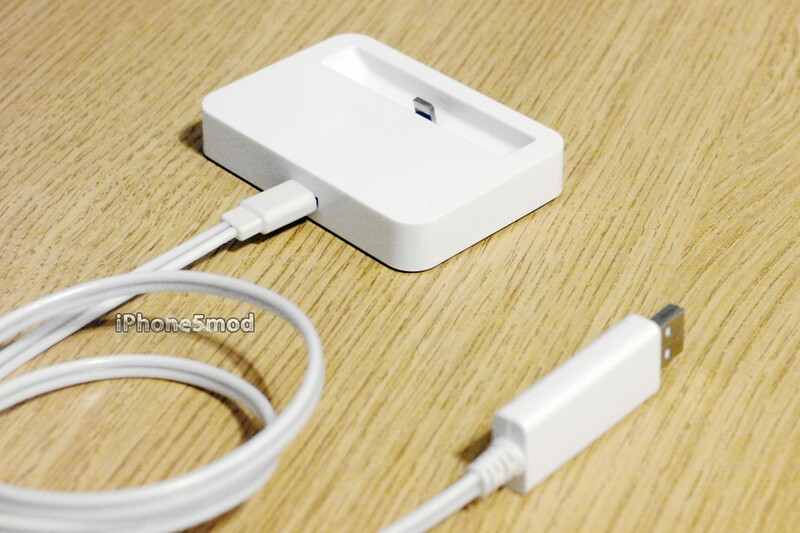 Will this be one of many adapters converting us from the lightening connector, me personally am still waiting for the connector to allow me to use my existing dock, although im doubtful it will allow me to charge my phone when it arrives. Labels: Lightening cable adapter, lightening to micro usb. 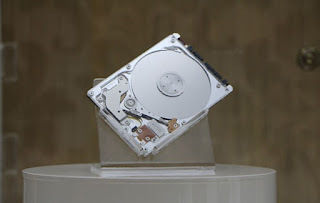 A*STAR's Data Storage Institute has unveiled a new Hybrid drive that is only 5mm thick, and at 1tb with a 32GB SSD thrown in, its a pretty good contender for the latest and greatest 2.5 inch drives. Its named the A-Drive and has a new proprietary motor and 30 additional patents to lower the power consumption, A*STAR envisions the drive to work in not only laptops/ultrabooks but also the latest tablet computers too, this could stretch the battery life by up to 30% . A*STAR has said that the Hybrid drive will be cheaper than SSD's currently used in ultrabooks and Yahoo! News reports it could be as little as $73 US. Want this drive now, unfortunately we could be waiting upto 8 months before we see them for sale in the retail market as A*STAR aare still trying to cut a deal with manufacturing partners, so keep an eye out. I have been asked a few times in the past why certain programs will not work, mainly web-servers running on port 80, the sites wont start due to another application using the port. There is a simple command you can run to cross check with task manager what ports are being used, you may already be familiar with netstat it is used for many things within the OS to check what your computer is doing on the internet, simply doing a "netstat -n -n -o" in a command prompt will give you a lot of results, showing all the inbound and outbound connections and what ports are being used. If you specifically want to find a certain port you can use the pipe command after and the word findstr so the command would look like this netstat -a -n -o | findstr :80 this would find all the connections that are on port 80 in and out. To drill down even further you need to put in 0.0:80 at the end so the command will look like this netstat -a -n -o | findstr 0.0:80 this will then give you a very small number of results specifically for the local host and anything with 80 in there as you can see from my picture it has both port 80 and port 8080. Now you will notice at the end of the results are some numbers these are whats known as the PID and we can cross check these in Windows Task Manager, then by going to the Services tab you will see there is a column with PID sort by numerical order and find the matching number to give you the service which is using the port, and if you need to stop the service. I have been asked a few times how i convert my videos so that they can be watched on the iPad / iPhone or iPod, whilst there are many programs out there that will do this for you and even iTunes itself not all videos will convert due to the source format, and also many of the programs are not free. I personally use a program called Handbrake which is free and available on many operating system platforms. I am a windows user for my day to day computing so i will show you how to convert them using windows 7 and Handbrake. First of all you need to get a copy of Handbrake which is free from here it comes in 2 versions for windows 64 bit and 32 Bit, if you are not sure what version of windows you have then just choose the 32 Bit version as this will work on both 64 and 32 bit. Once it has downloaded open up the setup file and proceed to install it, click on Run. Leave the default settings in place and click on Install. Once it has installed. Click on Finish and you will now have the program available on the Start Menu. Now find the program on the Start Menu and open it up. You may get a Preset Update appear just click on ok as this is normal. 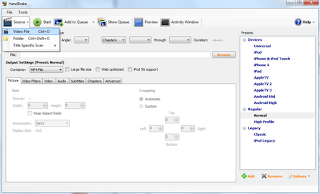 Once Handbrake is opened up you will see the image below. There are 2 ways to convert your files if you have a folder of videos that you want to do in a batch you can do but today i will just show you how to convert just a single video file as it wont take as long. I Have created a folder for my outputted files as i don't want them to go into the same folder that they came from just so that its not confusing. My folder is just in My Documents and Called iPad Videos. Click on the Source button and then select the Video file option, now you just need to select your video file that you want to convert. Once selected you will see that next to the word Source your video file will be displayed. We now need to select the Destination folder. Click on the Browse Button and save the file into you iPad videos folder in My Documents, giving it the name of choice then click on the Save button. The next thing we need to do is select the preset that we would like the video to be in, as we are doing this tutorial for a iPad video select iPad from the right hand side, you will see that it automatically changes the display size of the video. All we have to do now is to press the Start button and wait for it to finish this can take anywhere between 30 mins to 2 hours depending on the spec of your computer, so go and make yourself a cup of tea and sit back and relax. You will see at the bottom of the screen it give you a rough estimate of how long is remaining until it has finished. In the next part of the tutorial i will show you have to get these videos into iTunes and eventually onto your iPad so that you can watch them at you leisure. Labels: Handbrake, How to convert Videos for iPad, iPhone Videos, iPod Videos. Microsoft have slipped this one under the radar, it appears that all of you Media center PC owners that actually use Windows Media Center, will not be getting Media Center and its codecs for DVD playback and broadcast TV from Windows 8 instead you will have to pay for the add-ons. However for people that bought the Pro version of Windows 8 will be able to get these add-ons for free until January 31st 2013, once the date has passed you will then have to pay for these extras if you should want them, Users that do want the freebies will have to input their product key on the Microsoft Website to get the files. Microsoft Never released the actual cost of the add-ons only referring to it as "economical" but i can tell you that it will cost you an extra $10 for the content. You can get the add-on from the link here, please let me know if you are able to get this without being on a pro version of windows 8. 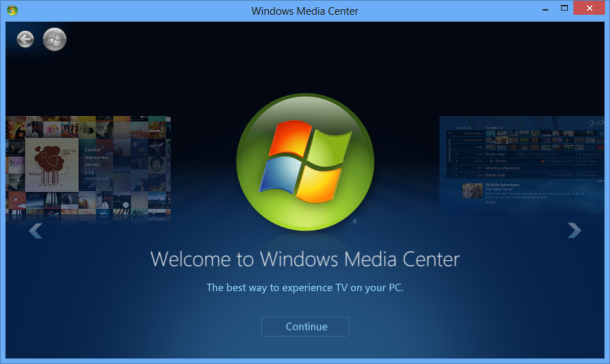 Labels: Media Center Upgrade, Windows 8 Media Center, Windows 8 Pro Free Upgrade. 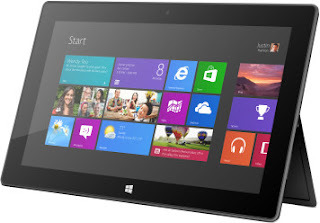 So today is the day that Windows 8 is released, but the big question is will you be buying it ? The Microsoft CEO Steve Ballmer called the introduction of Windows 8 a "bold, innovative" move that had been tested for more than 1.24 billion hours worldwide. 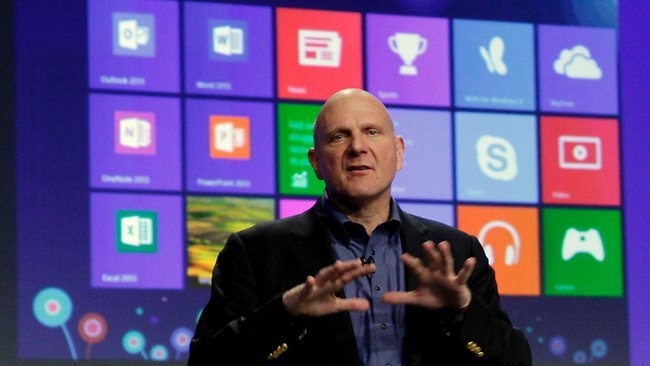 "No product anywhere receives this kind of testing anywhere in the world," Mr Ballmer told a New York audience. But this new flavour of Windows has changed its appearance dramatically with the ditched start button and new full screen start screen. This screen now contains all the well known apps and extra ones that you can get from Windows Store. Microsoft Windows business leader Tina Flammer said users would need to adapt to the new software menus, but it had been designed for an easy transition. "Windows 8 was designed to be intuitive," she said. "We know that without the traditional (start button) it is different. Every time we bring out a device the familiarity is different." Microsoft faced further scrutiny at its Australian launch for differences around the software's pricing and packages. While it wont be available to buy as a full product in stores over here it will be available as an upgrade. The Windows 8 Pro upgrade package costs $69.99, she said, while the Windows 8 upgrade costs $39.99. You can also upgrade from Windows XP,Vista and Windows 7 which is slightly different from Windows 7 that could only be upgraded from Windows Vista. This version is going to be very important for Microsoft's Future in the Software business if this flops could it be the end for Windows, who knows i think not but it could severely impact them in future releases. 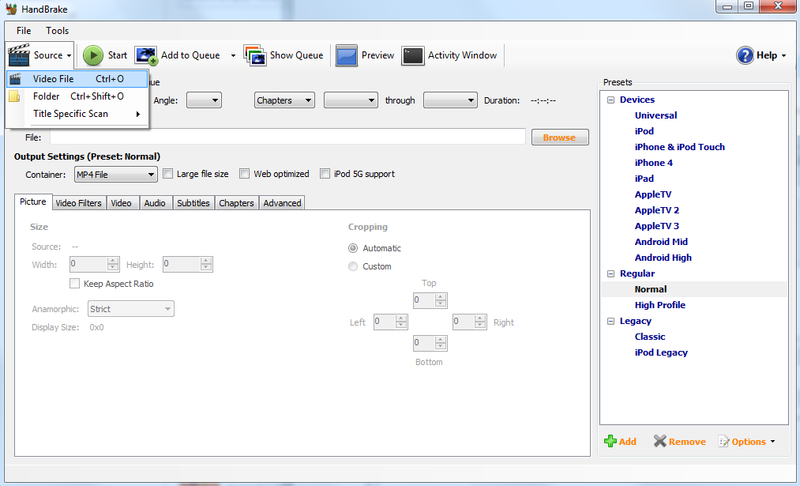 Earlier this week i Blogged about how to add the missing start button back this can be found here. 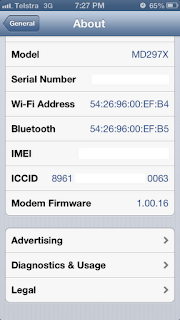 I recently discovered that our I devices have Advertiser tracking enabled by default within the iOS 6 Operating system, to the geeks this is basically identifierForAdvertising (IDFA) and identifierForVendor (IDFV), Apple had previously limited by denying app developers use of a device's UDID, but advertisers can now track and target users of the operating system. 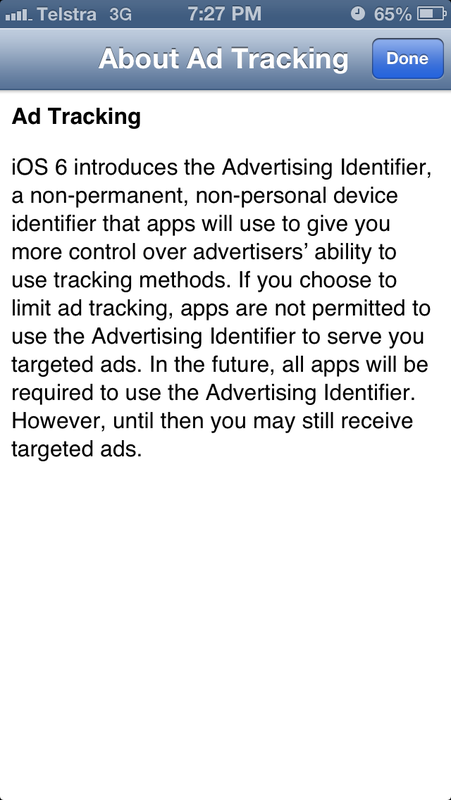 To the non geeks this is basically tracking for Advertisers to target you to show adds that relate to your apps and what you search for on your phone. To turn this off follow the procedure below. 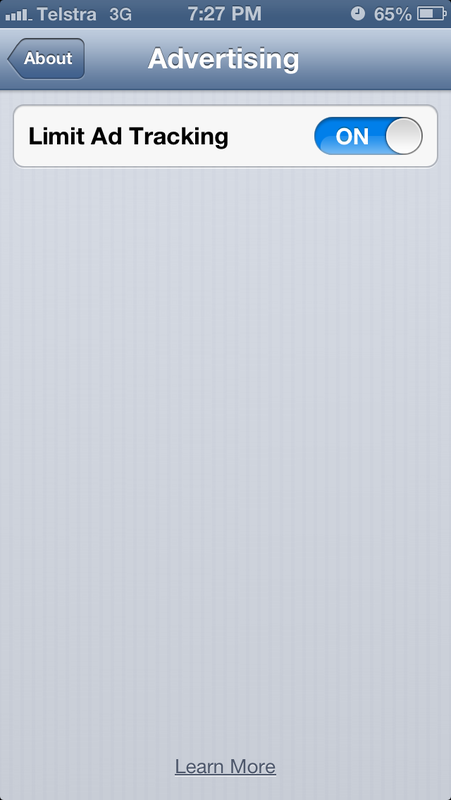 Go into Settings > General > About. 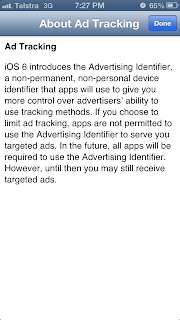 You will see that Limit Ad Tracking is OFF by default, So what is the problem, if it is set to OFF you are open to the advertisers, simply slide it to ON and you will now be free from tracking. You can click on the more info option at the bottom of the screen which basically tells you about what the Ad Tracking does, as per the image below. As windows 8 release is imminent you might or might not know that there is no start button, for some that are used to the old trusty start button fear not as there is a solution at hand. The start button has been a prominent feature of windows since windows NT and windows 95, as Microsoft are stepping into a new world of touchscreen adn tablet computers, this could be an issue for many users who heavily rely on it. If you do buy a new PC or Laptop from the 26th of October you will more than likely have windows 8 Pre installed and if you are not wanting to learn all the new tips and tricks at the very beginning you will definateley want this app installed to help you get going. Stardock have made applications for windows for years mainly the floating menu bar which gives you a Apple like bar at the top or bottom of the screen, the Start8 application can be purchased from stardocs website for $4.99 US to check it out click here. If like me you will be staying away from this version of Windows as i believe it will be on the miss list, which us techies have been keeping for many years. This will also work for Windows Server 2012 if you are an administrator this could be a breath of fresh air if your company insists on keeping upto date with the server side of things. If you do get Windows 8 and you want to try this out let me know how you go. As i Predicted last week the iPad Mini was announced overnight by Apple, they had put on their website that there was going to be more to show and it was. 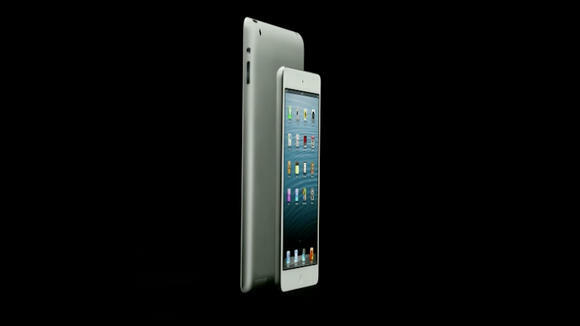 The new iPad which is 7" smaller version of the iPad 2 and 3, it has the same resolution as the iPad 2 (1024x768) and weighs in at just 308g and 7.2mm thick. There is also a rumor that Apple have smart covers all ready and waiting to go on sale at the same time, it will feature the new iOS6 and the A5 Processor, Lightening Dock, but no retina display. Prices are starting at $329 for a 6GB model and go up to $429 for the 32GB model and $529 for the 64GB model all WIFI and the a little bit extra for the Mobile version, the good news is that it will be available for use on the new 4G LTE network in Australia and the rest of the world that has 4G LTE enabled. This is Apple's addition into the 7" tablet market to compete with the new Kindle Fire HD and the Nexus 7, we will just have to see how the sales go, most of the die hard Apple fans will want to get in on the action and will already be lining up the purchase of the mini so look out for an abundance of the larger iPads for sale on eBay and the likes. There is no firm date of the actual release of the iPad mini but it wont be to long away given Apples track record, so maybe this time next month, but definitely before Xmas to boost those sales. Recently i have been spammed by my friends on facebook that have the "You Can Now Change The Color of Your Facebook" this is whats known as a Facebook Scam or Rouge App, this basically is an App that you have allowed to connect to your profile and spams all of your contacts telling them they can change their colours of their profile. It doesn't work and can be removed by following this process. Login to Facebook on your computer, go to the top right corner and click on the little drop down arrow as per the picture below. Go to Account Settings then click on Apps on the left hand side, this will then load all of the Apps that have access to your profile. One the list of Apps has loaded simply scroll down to the App that you want to remove and click on the little X at the side of the App it will then pop up asking you if you want to remove the app, make sure that you check the box that says "Delete All your Activity on Facebook". You have now removed the Rouge App and it wont spam all of your friends anymore, you can follow this guide to remove any Apps that you no longer want on your Facebook. Labels: Colour Changer Scam, Facebook Rouge App, you can now change the color of your facebook. This one is for all you non Apple lovers, Microsoft have finally released information about their up and coming tablet computer called Surface, it will be running windows RT which is basically Windows 8 for tablets. 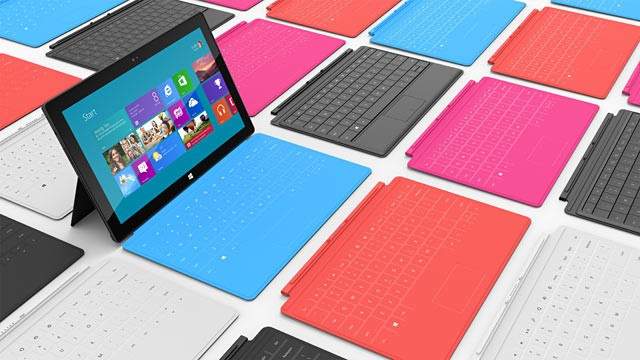 There are 2 versions of the surface a 32GB and 64GB model, the 32GB model is $559 or $679 with a Touch Cover, the 64GB version comes with a Touch Cover for $789, you can purchase the Touch Covers separately for $139.99 they come is 5 different colours (Black, White, Red, Blue and Pink), Or you can pick up a Type Cover for $149.99. All pre-sales are limited so if you want one you will have to be quick and they go on sale on the 26th October 2012. For more info head over to the Surface website at www.surface.com If you are a keen Microsoft fan (not many are these days) then it is a little pricey for what you get but the eventually had to bring something out to compete with apple. iPad Mini - Is it coming out next week ? 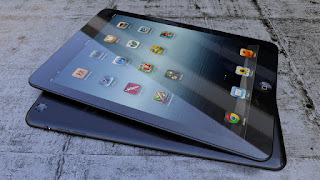 Like the iPhone 5 rumors are wide spread about the imminent release of the iPad mini, could it be as early as next week or are Apple just playing a bluff. Its rumored that there are to be 12 versions of the new iPad, each in white and black so to us that would mean 8,16, 32 and 64GB models maybe and also the normal WIFI only 3G and 4G LTE versions. Whilst the price is still unknown and what plans and carriers they will be available on, be sure to keep an eye out as they wont be to far away in my opinion. We're almost there. 12 more days until the big reveal. But that doesn't mean there aren't still a few final Windows 8 secrets to be disclosed. Two of those are the price and the packaging, which online retailer Newegg has just let slip. 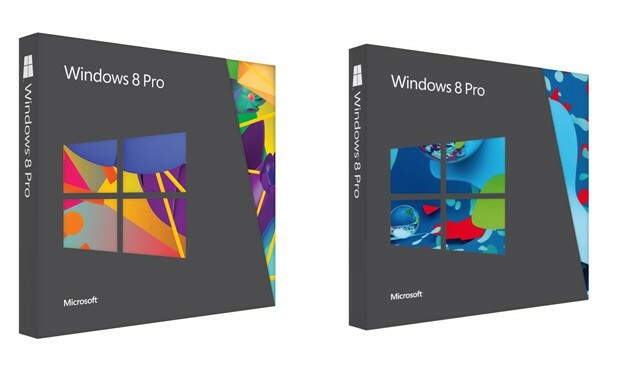 There are four packages listed: Windows 8 Professional Upgrade ($69), Windows 8 Pro Pack ($69, product key card only), Windows 8 OEM ($99) and Windows 8 Professional ($139), with the latter two being available in both 32- and 64-bit versions (for the same price). If you go into the product page, however, we can see that the original price for the upgrade and product key card only versions is listed as "$199" suggesting that this might either be a launch offer, or subject to change. Don't forget though, there's still the chance to upgrade for an even lower price, for those who qualify. You can officially reserve your copy of Pro from today for $69.99 at all the main retailers, but if you can hold back on that impulse purchase for just a little longer, you'll be able to upgrade to Pro online for $39 (until January 31st 2013). 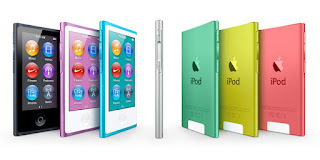 Apple will release the new iPod Nano 7th Gen this month, they like to reinvent their products very regularly as we know but what is so special about this new iPod. 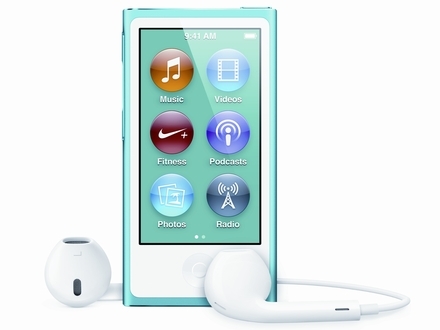 The new iPod weighs a mere 31g which will more than likely feel like you don't even have it in your pocket but don't let that draw you away from purchasing one, it has lots of new features and a new bigger 2.5 inch touchscreen with 16:9 aspect ratio better showing those movies that you might have on there. There are no click wheels on this iPod just a simple home button like on the bigger iPod and the iPhone's although it has a circle in the middle unlike the square on the iPod and iPhone, and the power button looks nice on the top of the device and on the upper left there is a nice rocker button With this you can adjust volume and, by pressing in the middle, play/pause music or engage in any of the Morse code-like commands for shuffling or skipping tracks. On the bottom are the three forms of connectivity, two ports and a tiny window through which the Bluetooth 4.0 antenna talks. On the left is the 3.5mm headphone jack and on the right, the new Lightning connector, As on the iPhone 5 and the new iPod touch. It has a similar setup to the older Nano with regards to the iOS like interface and has 2 pages of apps, you can rearrange these to your liking . The Nike+ app is still there and has been made even better in this version by having everything built into the device. You no longer need to clip on a receiver or put an accelerometer on your shoe to track your walks or runs, you can even connect Bluetooth heart rate monitors wirelessly. although the lack of the integrated clip will be seen as a slight step backward by those whose running shorts lack pockets. A company called iphone5mod.com has released the first aftermarket iPhone 5 dock and cable the product called the iPhone 5 Flash Lightning Dock is available to purchase now but orders will not start shipping until late October. 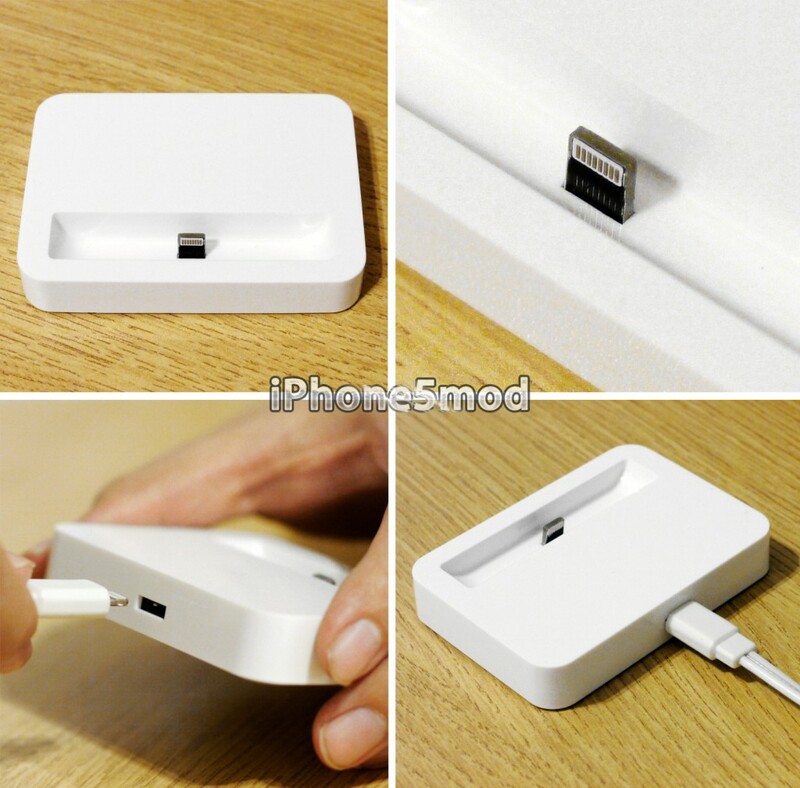 You can buy the cable and dock separately or as a package. There are pros and cons to the dock mainly being that is does not have Audio out but it will allow you to sync and charge you iPhone 5 and it will fit with or without a case on the phone too so there is no issue of taking your phone out of the case to charge it. 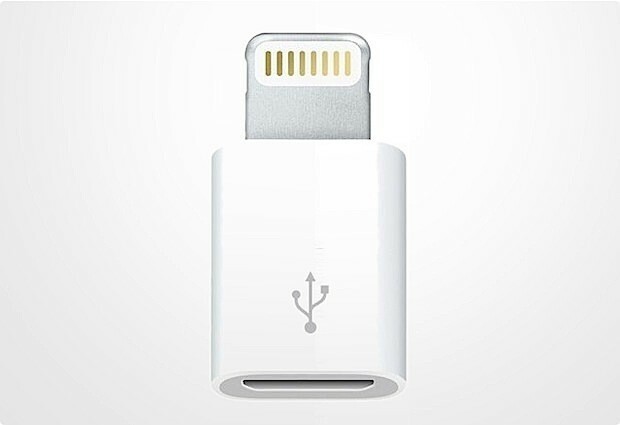 The iPhone 5 Flash Lightning Dock comes in 2 parts. A classic dock for the iPhone 5 and an illuminated Lightning Cable. You can charge and sync your iPhone 5 with the iPhone 5 Dock. 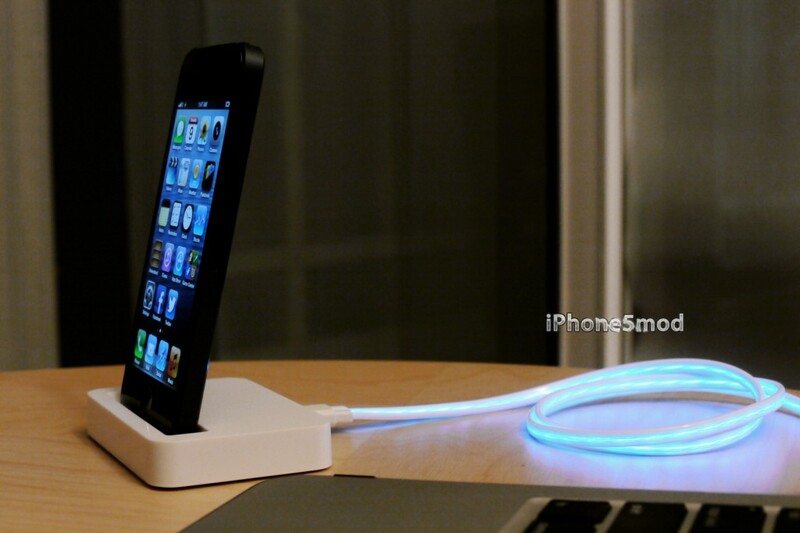 Your iPhone sits upright in the dock as it syncs or charges, so it's perfect for a desk or countertop. 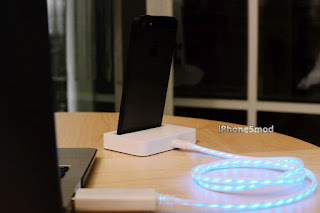 It comes included with a specially made Lightning Cable that has an intelligent power managements system built in. 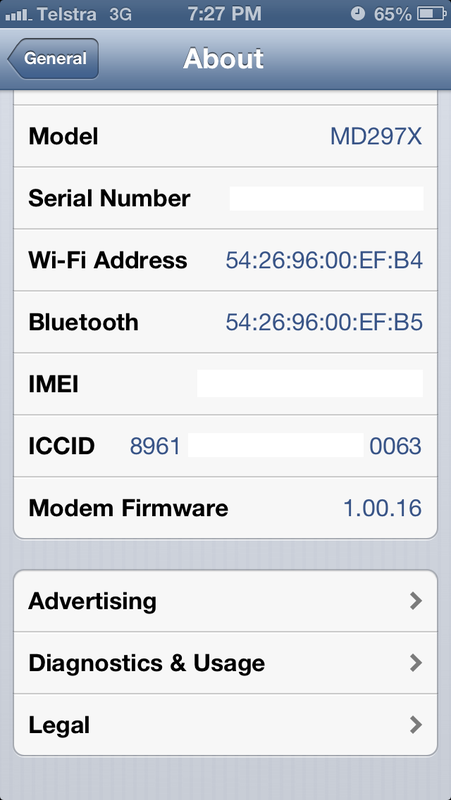 You can actually see the flow of current going into your iPhone 5. 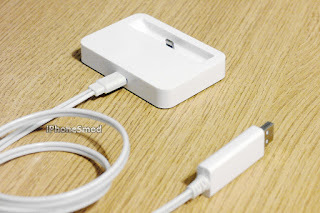 I have not seen the alternative apple dock as of yet but im sure that it wont be to far away. 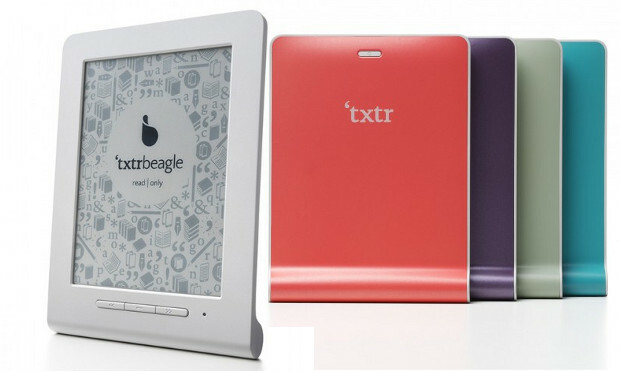 There have been some cheap e-readers released in the past, there is a new competitor in the market called the Txtr Beagle, the beagle will surely back the main competitors into a corner being so cheap at €10 or about $13 when it comes out. Obviously, for such a low price, you're not going to get lots of featuers. 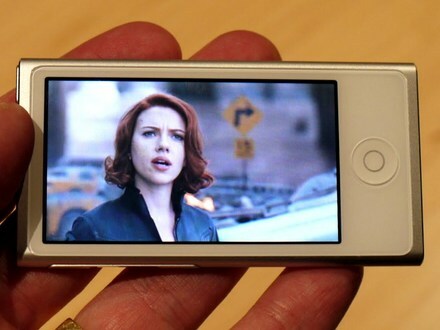 There's no touchscreen, no backlight, no 3G -- not even WiFi is baked into the impossibly 5mm thin device. The screen is only five inches but, its claiming to offer a more enjoyable experience than reading an iPad or talking to your significant other. 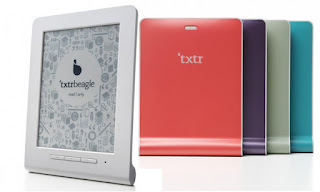 What is inside this barebones device is 4GB of storage and a Bluetooth radio which, when paired with your phone, can transfer ebooks from your mobile to the Beagle using the free Txtr app (available for Android 4.0 with an iOS version is in the works). Instead of an expensive rechargable cell, power is provided by a trio of AAA batteries, which the company claims will last you up to a year of regular reading. Almost as interesting as the device itself, is the model being used to keep the costs down. Txtr is positioning it not as a standalone e-reader, but as a smartphone accessory it hopes that carriers will offer with a small subsidy. The company's chief commercial officer Thomas Leliveld has said that work is underway to get AT&T and Sprint on board, but that talks are still ongoing with providers. So keep your eyes peeled for this gadget it wont be to far away. eBay has finally jumped on the band wagon and after 17 years, have re-branded from the clunky logo that we are used, they have decided to go with a more smooth simple single font logo, it was announced back in September this year that they would be re-branding but it would not be until mid October that we would see the change. Well i can confirm that the change has already started to appear. The new logo makes eBay look more corporate. It’s definitely nicer on the eyes than the old logo for sure, but toned down on the personality and originality. eBay president Devin Wenig is calling it “the new eBay” which could be hinting a refreshed auction experience altogether. There are new promo photos which include an eBay billboard and shopping bags. Labels: eBay Rebrand after 17 years. Yes that is right we have all done it, pretended that we were talking to someone on the phone using our hand as the telephone. Well an Italian company has made this a part reality through their new invention called the hi-call this is a glove with Bluetooth connectivity that you can link to your phone and talk as if you were a kid. 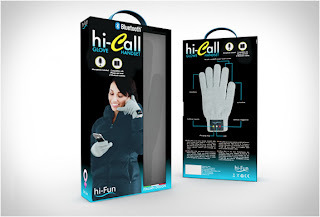 Below are the specifications for the Hi-Call, They are available for purchase from their website and cost 50 Euros ($70), although these would not be very good if you were driving as you would still be pulled over for talking on the phone, but are a great idea for the winter strolls in the park. 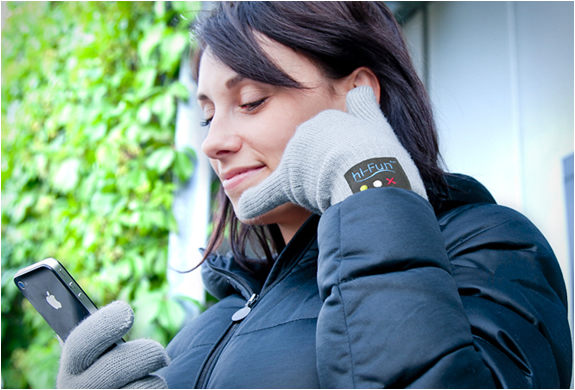 hi-Call Bluetooth is a glove that allows you to talk on the phone "at your fingertips". 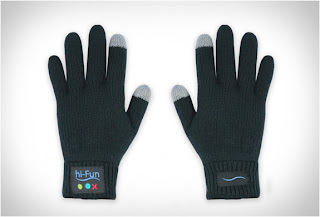 The left glove is equipped with a speaker and a microphone sewn in the thumb and little finger, respectively, and so, with a simple gesture, you can talk on the phone protecting you from the cold and all your wonderful friends. hi-Call, you can also use the touch screens of all smartphone thanks to the capacitive technology on the end of your finger and thumb. 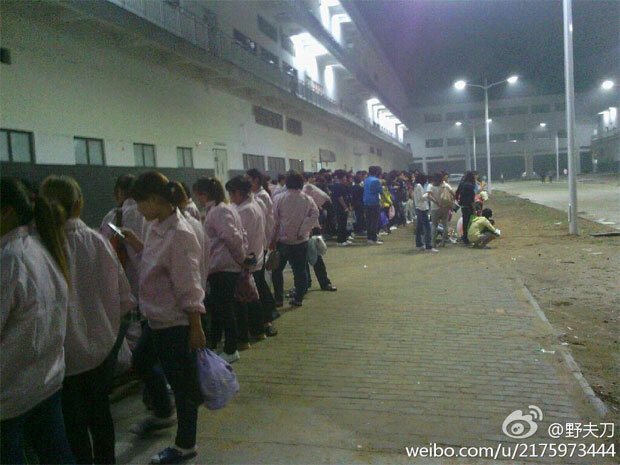 "From an idea by Alain Morelli"
Workers at Foxconn's Zhengzhou factory strike in reaction to new iPhone 5 quality standards. So you waited a few weeks to get your new iPhone 5, only to open the box and find that it has some scratches and marks around the outside edge. So Apple have asked Foxconn to adhere to a stricter quality control program for the new iPhone 5, this in turn has sparked outrage among some of the workers and they have decided that they would strike over the demands. According to China Labor Watch, three to four thousand workers stepped off the production line to protest the new standards, which only allow for a 0.02mm appearance defect. "It's tough under such stringent quality requirements," writes Sina Weibo user and Foxconn employee Yefudao. "A 0.02mm appearance defect is already beyond that of our vision. With such a demanding task, workers' mental pressure becomes so immense that they have to vent it out." China Labor Watch reports that the issue stems not only from the higher quality demands, but the fact that workers are being asked to meet them without receiving the training necessary to do so. The situation hasn't broken out into a riot, but a dispute between line workers and quality control inspectors reportedly sparked a fight that led to property damage, injury and some hospitalization. Production lines have temporarily been frozen by management while Foxconn deals with the situation. Whilst i can understand our frustrations about buying a new iPhone 5 and it already being scratched before you even use it, i can see where the Chinese workers are coming from, i do have a few marks on my iPhone 5 but nothing that i will be sending it back about, after all the outer edge of the iPhone 5 is metal painted black it would be extremely difficult to not get any marks on this item during production, maybe this infact an issue that apple should have thought about before putting it into production, sure metal would be the ideal substance for the part but maybe a better protective coating of paint or even powder coating might have been better. We will just have to see how long the riots and strikes go on for or if Apple will change the provider of the manufacturing process to another company if the defects still keep happening.